Bollywood's two of the most promising debutantes Janhvi Kapoor and Ishaan Khatter are basking in the glory of their debut film 'Dhadak' which has broken many records at the box office. The two actors par excellence were snapped post a movie date at Andheri's PVR. 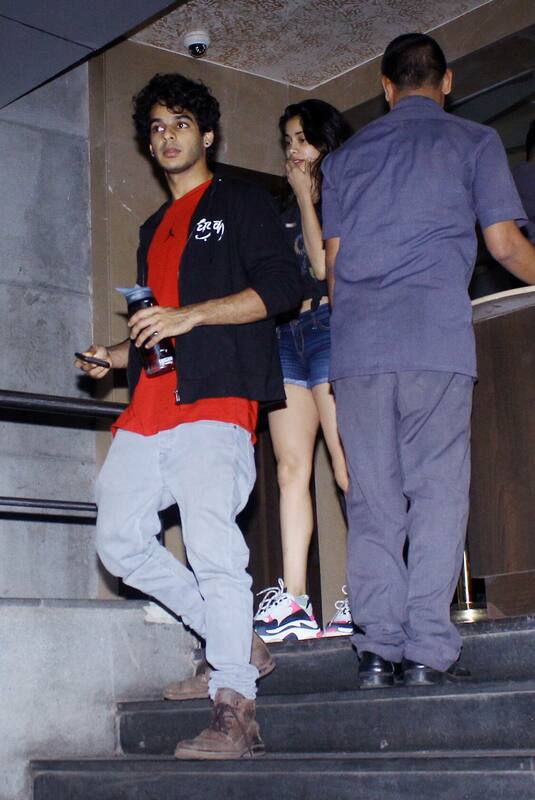 Both Janhvi and Ishaan were seen at their casual best as they exited the cinema mall. Dhadak is the official remake of Marathi film Sairat which was directed by Nagraj Manjule and the remake has been directed by Shashank Khaitan.